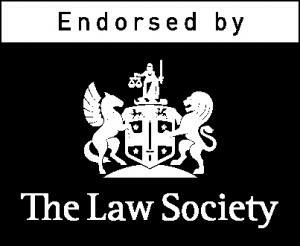 The Law Society of England & Wales, the representative body for every solicitor in England and Wales, has announced it has endorsed one of the UK’s leading typing and transcription providers as its exclusive outsourced transcription partner. Document Direct was established in 2005 by CEO Martyn Best and now delivers its typing and transcription service to over 140 clients in the UK, Ireland and across the globe. The company provides a secure and confidential transcription service 24 hours a day, offering legal firms significant savings of up to 60% on their typing costs. The service is supported by over 120 experienced and professional legal and medical secretaries, all of whom are based in the UK. Simon Drane, Executive Director of Business Development of the Law Society said: “The Law Society is always seeking to support its members to reduce costs through working in a more efficient manner. “Outsourcing transcription services is a growing area of interest to our members. “The Society conducted a robust tender process earlier this year to select Document Direct as the preferred supplier of those services. Document Direct Founder and CEO Martyn Best is a Chartered Accountant, formerly with Ernst & Young, and a recent Past President of the Liverpool Society of Chartered Accountants. Mr Best said: “Document Direct strives to reflect the professionalism and client service provided by our legal customers and we achieve this on a daily basis. Our customers include Top 30 law firms Hill Dickinson, Lewis Silkin and Nabarro together with many mid-tier firms across the UK. Document Direct has offices in London, Liverpool and Dublin. We’re so confident that you will love our service we’re letting you try our dictation service for free. The mobility to dictate wherever you are without the need for any other hardware or software. Try our free app.